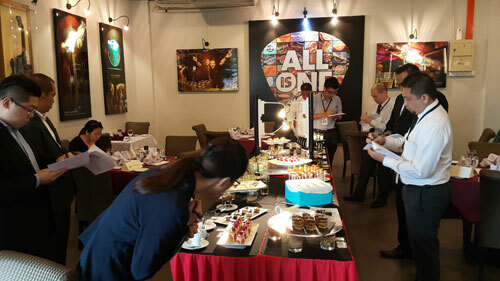 In line with INTI’s commitment to providing a holistic learning experience which connects students to potential employers while still studying, INTI International College Penang recently hosted representatives from Penang’s hospitality industry for an event titled Petit Fours Feast. Organised by the School of Hospitality as an effort to showcase the capabilities of its culinary arts students, the event welcomed established employers including DoubleTree by Hilton, Equatorial Hotel, E&O Hotel, The Top Komtar, the SPICE Convention Centre, Edison Boutique Hotel and Sugar. 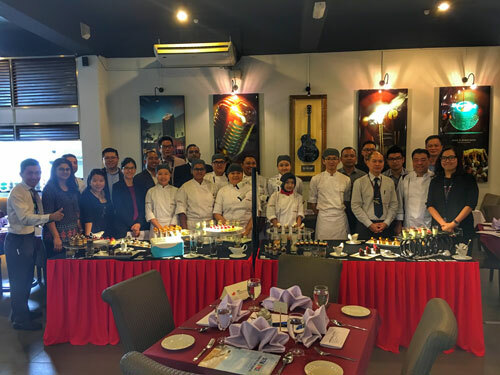 Students from INTI Penang’s School of Hospitality alongside lecturers, staff and industry partners at the Petit Fours Feast. The event featured a spread of cakes and desserts which were prepared and served by the final year culinary arts students who majored in patisseries and was included as a part of their final examinations. With top industry practitioners including HR Directors, Training Managers, F&B Managers, as well as executive chefs and entrepreneurs in attendance, the students were assessed for their creativity, presentation and taste. More importantly, they gained real time feedback from individuals whom they could one day call their employers, thus receiving first-hand experience in the expectations of industry. Representatives from established hospitality organisations review and assess the students’ creations. Amidst the array of delectable treats which were assessed, the event also provided an engaging platform for students and employers to share their ideas and insights into the world of culinary arts and its growing trend both locally and internationally. By offering students a number of platforms for practical learning, INTI has recorded and validated positive graduate outcomes, including 98% of INTI students securing jobs within six months of graduating, 82% earning higher salaries than the market average and 25% receiving job offers even before they graduate.